THE largest and keenest “mechanical brain” in the world was exhibited recently for the first time at the University of Pennsylvania. Weighing three tons, the mechanism can solve complex problems in one-sixth of the time usually required by human mathematicians. 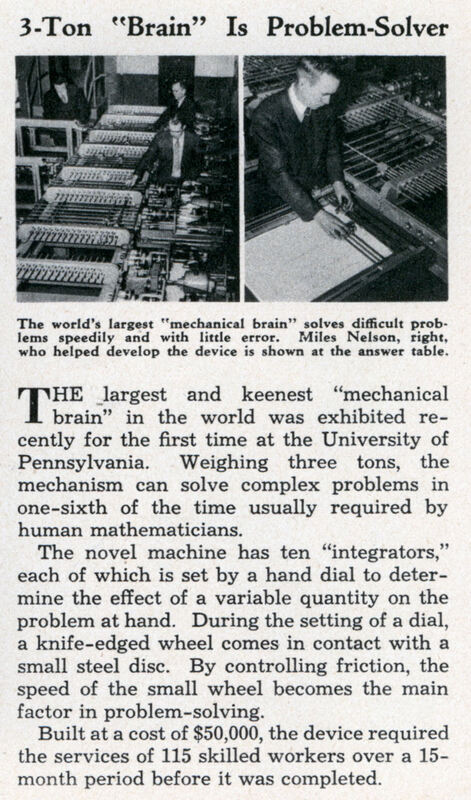 The novel machine has ten “integrators,” each of which is set by a hand dial to determine the effect of a variable quantity on the problem at hand. During the setting of a dial, a knife-edged wheel comes in contact with a small steel disc. By controlling friction, the speed of the small wheel becomes the main factor in problem-solving. 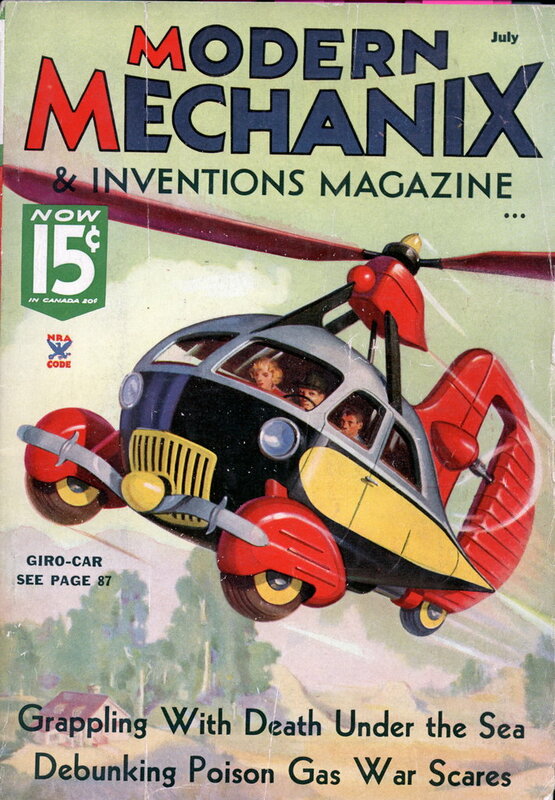 Built at a cost of $50,000, the device required the services of 115 skilled workers over a 15-month period before it was completed. The term “user friendly” had yet to be coined.